Sport Multistrada 1260 Enduro accessory package. A set of accessories with a sporty character, to make your riding experience even more intense and satisfying thanks to the Termignoni approved final silencer that ensures a full sound and perfect delivery. Also with elements that enrich the bike with a great designer look, like the billet aluminium water pump cover and the LED turn indicators. 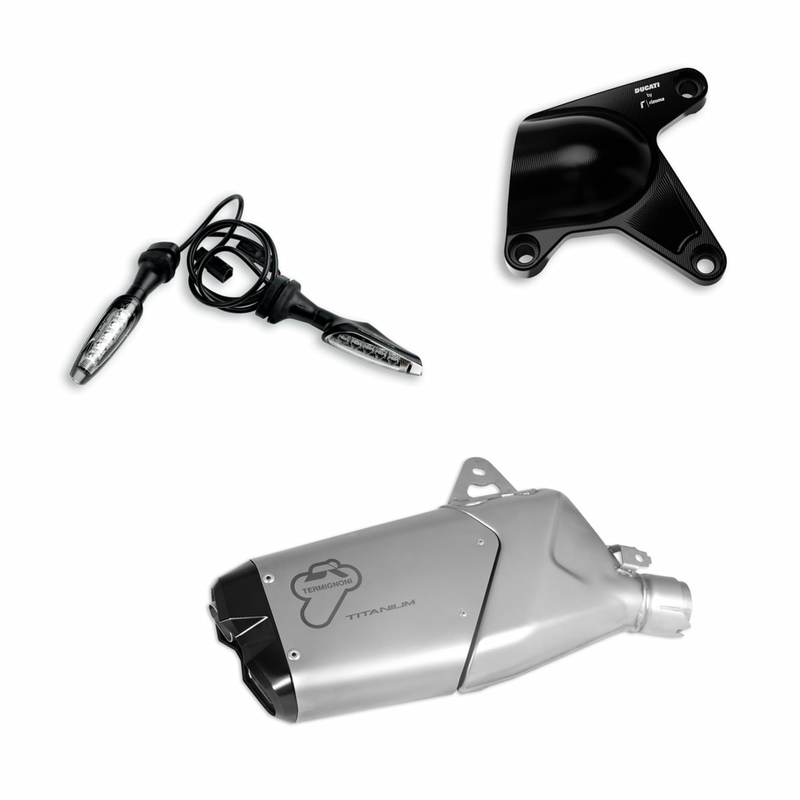 The package contains: type-approved silencer, aluminium water pump cover, a pair of LED turn indicators.